Ships tomorrow if you order in the next 18 hours 53 minutes. 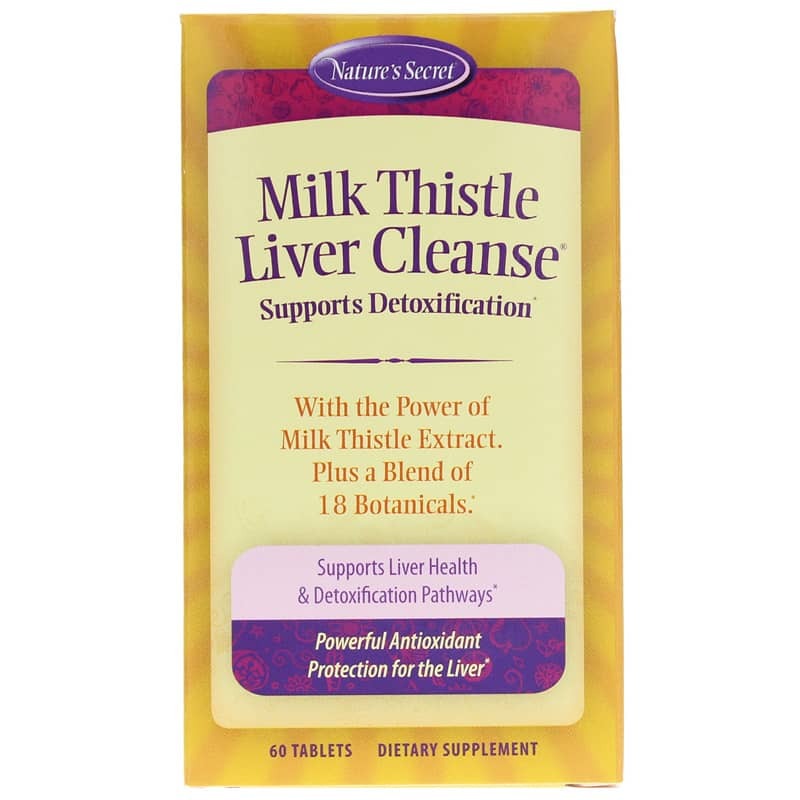 Milk Thistle Liver Cleanse from Nature's Secret is specially formulated to support liver function. 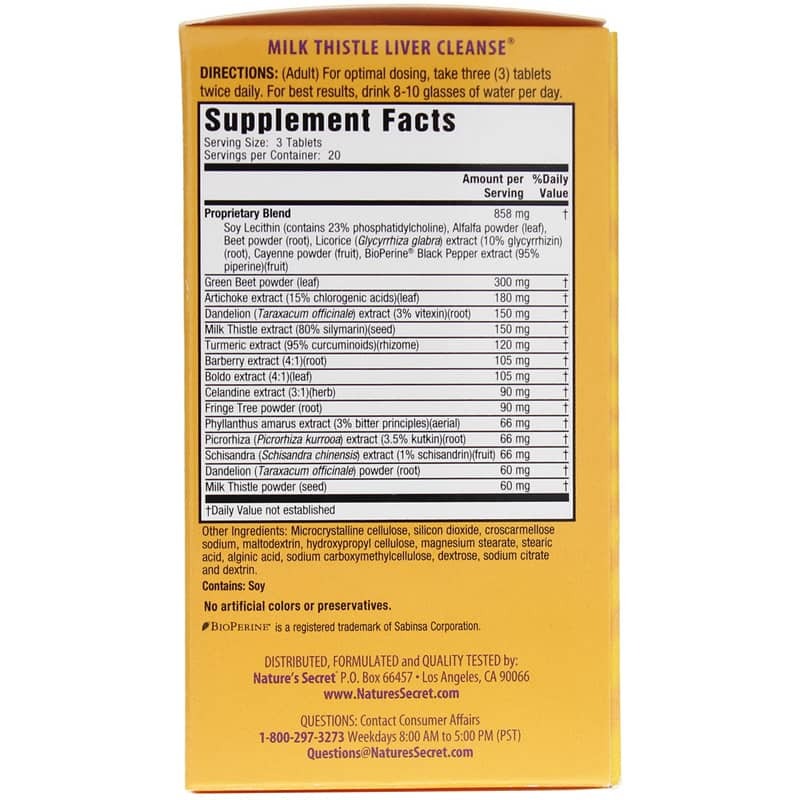 This product protects and promotes liver health, to assist the body's natural detoxification process. Liver health is essential to the body's overall health. 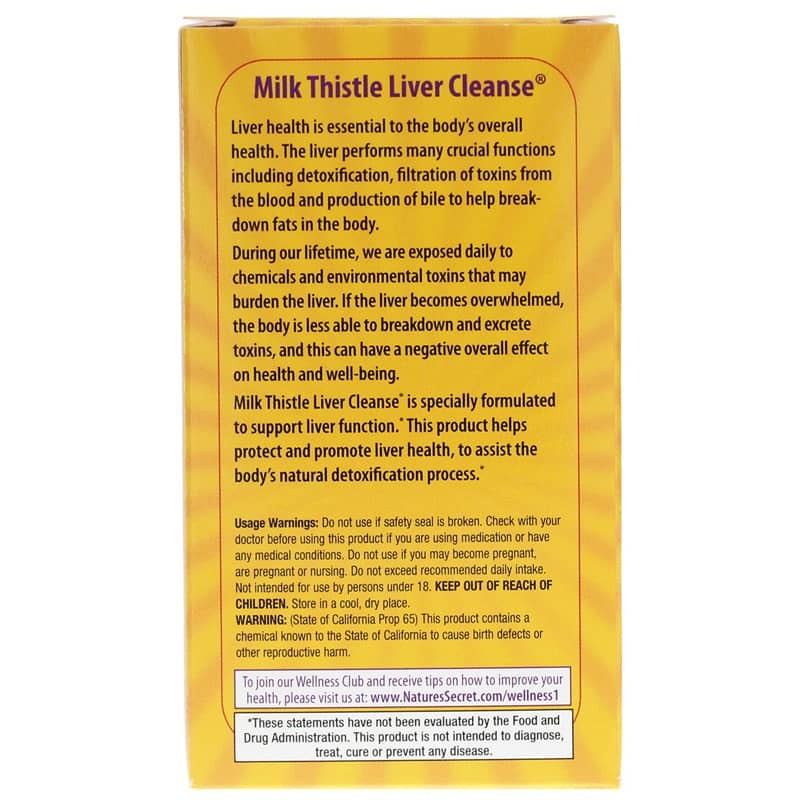 The liver performs many crucial functions including detoxification, filtration of toxins from the blood and production of bile to help breakdown fats in the body. During our lifetime, we are exposed to preservatives, pesticides and other chemicals that may burden the liver. If the liver becomes overwhelmed, the body is less able to breakdown and excrete toxins, and this can have a negative overall effect on health and well-being. Other Ingredients: Microcrystalline cellulose, silicon dioxide, croscarmellose sodium, maltodextrin, hydroxypropyl cellulose, magnesium stearate, stearic acid, alginic acid, sodium carboxymethylcellulose, dextrose, sodium citrate and dextrin. Adults: For optimal dosing, take 3 tablets twice daily. For best results, drink 8-10 glasses of water per day. Check with your doctor before using this product if you are using medication or have any medical conditions. Do not use if you may become pregnant, are pregnant or nursing. Do not exceed recommended daily intake. Not intended for use by persons under 18. Keep out of the reach of children.